Island Roy, Downing’s, on the Rosguill peninsula is one of these special locations. One of Donegal’s smallest inhabited Gaeltacht Islands linked to the mainland via two causeways. It is a member of Ancaire the Co-operative for the small Donegal Islands, Comhdháil Oileán Na hEireann, the co-operative for the Islands of Ireland and a member of the Donegal County Council’s Islands committee. The Island was forms from a glacier droplet thousands and thousands of years ago, which is evident is the debris stone and rock of all types viewed while walking the shoreline. Quietly it sits in the Fjord Bay of Mulroy, a watching eye on its surrounding mainland hinterlands of Rosguill and Fanad Peninsulas. It has seen many transformations on the mainland areas from its droplet formation into its wonderful location all those years ago. It watched the sandstorms bury Lord Byron’s Castle and a village at the foot of Gaine MhorMountain, and it has seen the formation of the Townland’s of Rosapenna and Ballyhorgan from sands left behind from those sandstorms. The famous Rosapenna Golf course today sits on those very sands. While all this destruction and new land formation was going on within a stones through of the Island, it is unbelievable but true Island Roy was not affected by any of these environmental changes. Today the Island is assessable via two causeways built in 1929 at request of the then Doctor for the area, Dr. McCluskey. Planet Mars and its association with Oileán Ruaigh, or its English name Island Roy. On the 22nd January 2010 a media press release (BBC News) that a Donegal Island was to be twinned with the Planet Mars in order to raise awareness of climate change. This was an unusual request suggested by a group of artist’s taking part in an activity project overseen by the Regional Cultural division of Donegal County Council to explore the role of Art in addressing climate change. Island Roy had been mentioned during the Councils discussion on the project and it was Councillor Noel McBride who in his wisdom suggested that the rock for naming on MARS should be twinned with Island Roy, in Mulroy Bay, as the Islands name in a loose English translation of its original native Gaelic name of Oileán Ruaigh translated to Red Island. 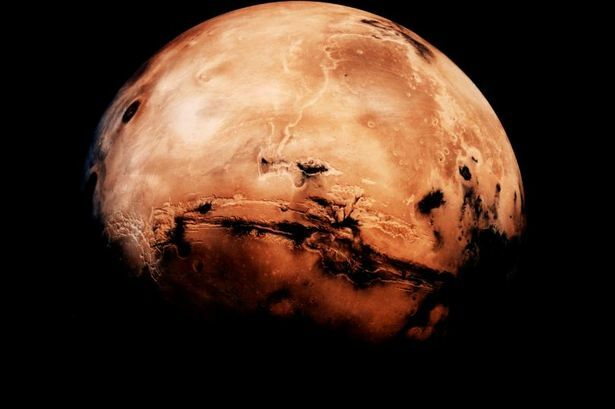 The idea of twinning a place in County Donegal with a location on Planet Mars may sound out of this world, but it could become a reality within weeks? At that stage the Regional Cultural Centre in Letterkenny, as part of a new public Art project, were informing the Milford/Letterkenny Electoral Area that the time frame for submissions under this project were closing by the end of that week. The location for the twinning could be a peninsula, an Island, a beach or even a rock within the Milford/Letterkenny Electoral Area. John Cunningham Assistant Manager of the Regional Cultural Centre in Letterkenny said, “We have had dozens of suggestions and in the end it will mean that a little part of MARS will be permanently named after a place in Donegal.” The most suitable of the suggestions will be forwarded to NASA which will officially name a feature on MARS after somewhere in Donegal, Ireland. 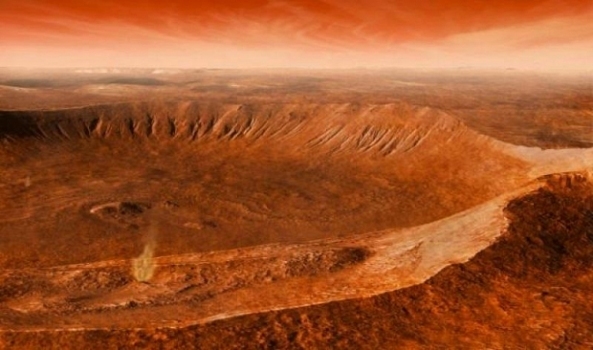 It was publicly announced that Island Roy, was the location named for participation in the project and that Oileán Ruaigh was to be the location name used by NASA on a chosen feature on MARS. The LOIS came to Island Roy for project work on the Island and its surrounding waters and hinterlands, while also visiting Scoil Niamh Brid in Downing’s. It was a fun time stretching the imagination yet thinking about the Planet Mars and what did it really came through, what of it exists today. All simple questions, yet it requires the imagination to take a picture to the fore. The Project was put on display at the Regional Cultural Centre in Letterkenny in November of 2010 and remained there until January of 2011. It was on the 16th of September 2010 that a rock of iron-based meteorite which had at some time crashed into the Red Planet, was located by the endeavour, was named by NASA scientists who called this rock Oileán Ruaidh, which is the Gaelic name for an Island off the northwest coast of Ireland ( Island Roy). Donegal will have its place in the text books of our future generations. We hope you have enjoyed the account.